Location: Tuulingu Holiday House is situated 7 km off the Laiküla-Haapsalu road. 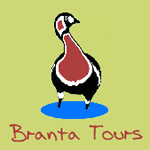 Turn off the road at the sign of Haeska bird watching tower, go through Haeska village and pass the manor house then take the turning on the right to the coastal meadows. From there you can already see the Tuulingu farm and the bird watching tower. 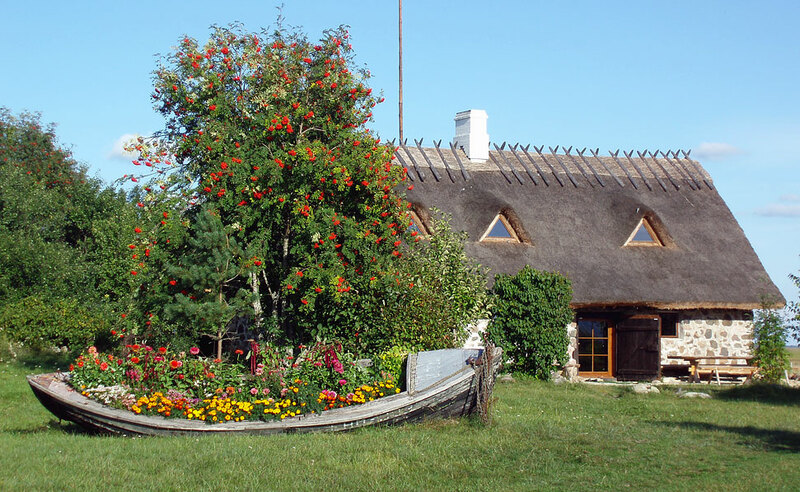 The historical West-Estonian capital Haapsalu is 25 km away. Come and visit Matsalu National Park, where unique coastal meadows open to the sea have preserved up to now. 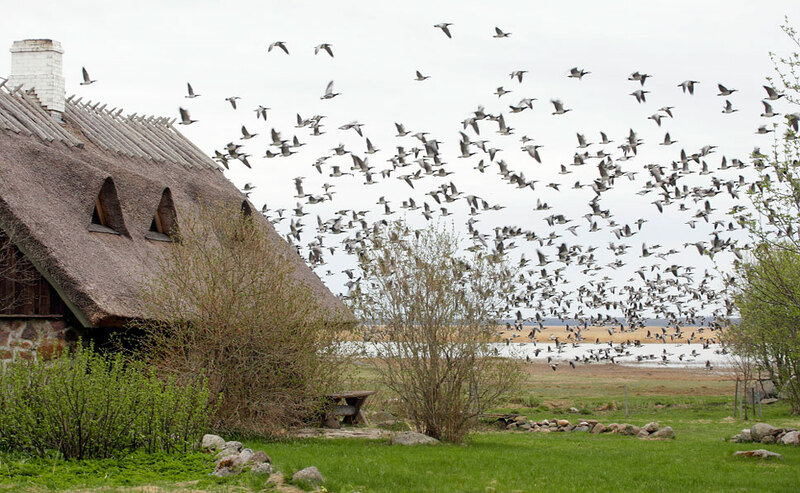 In Haeska which is on the migration route of tens of thousands of birds you can observe the birds’ activities during their migration, nesting and preparation for migration to the south in autumn. The meadows are taken care of by Highland cattle, sheep and dairy cattle. This place is known among the birdwatchers as European master – right here birdwatchers have seen the greatest number of different species in 24 hours. Services: Tuulingu holiday house located at the seaside in Haeska village has been built into more than one-hundred-year-old grain dryer. 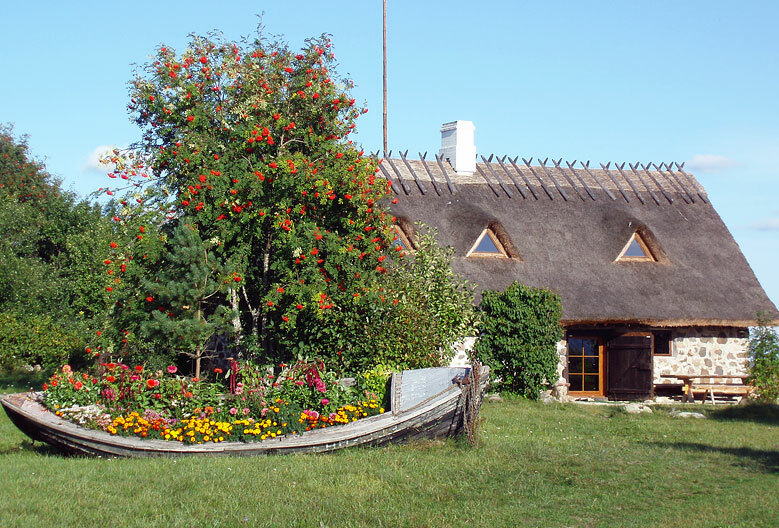 There are two rooms, a room with a fireplace, kitchen and sauna in the house. It has warm and cold water; the central heating system of the house is heated with wood or electricity. The house accommodates the total of 8 people; if necessary additional beds can be added. There are cooking facilities and bed linen available in the house. The nearest shop is 15 km away. For bird photogrpahy, both floating and hide on land are available. English speaking nature guide is available on request. Next to the House is Haeska birdwatching tower. Guestrooms: In Tuulingu Holiday House there are two bedrooms, a room with a fireplace, fully equipped kitchen and sauna in the house. The house accommodates the total of 8 people; if necessary additional beds can be added. It has warm and cold water; the central heating system of the house is heated with wood or electricity.